Double-Dipping: Two Days, One Post! The past two days have been so packed it’s been a challenge for us to find time to write! 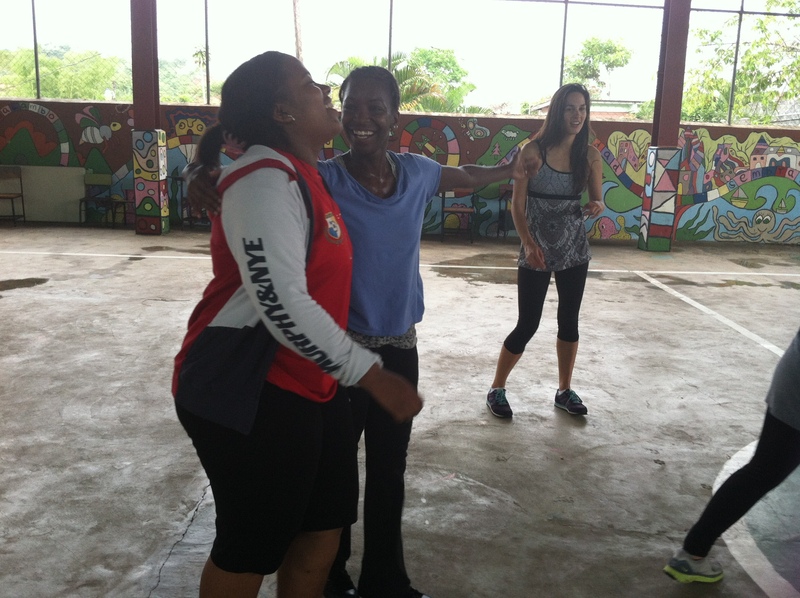 Monday began with a high energy Afro-Panamanian dance class with students and guest artists at the University of Panama. Afterwards, we ate at the University cafeteria, where our group was made complete by Paola’s arrival from the airport! Next it was off to Malambo for an afternoon of meeting the girls and teaching classes. After dinner (our first time out by ourselves!) Johnny, one of Movement Exchange’s Panamanian dance instructors, treated us to a hip-hop class outside by the ocean. We ended the day with our daily reflection time and then collapsed into bed! Tuesday (today) began with a jazz class taught by our own Molly Schenck for the first-year dance students at the University, followed by lunch and a group discussion/brainstorm session on classroom management techniques. She still had to go to the hospital for a tetanus shot though. In the late afternoon, we returned to Malambo for what was an especially incredible teaching experience today. We’ll let the pictures do the talking. Saying our goodbyes to Malambo this evening was hard for everyone. This evening offered a little more time to reflect and unwind than the previous night. We all need to unwind. Time is passing so quickly and it is really impossible to believe we are more than halfway through our exchange.